There are hundreds and hundreds of unusual holidays to celebrate every year, and we tend to look over most of them. Some, however, have sneaked their way into common culture with the aid of the internet. Not many people can tell you when Draw A Bird Day is (or even that it exists), but an significantly larger amount of people know when it’s time to celebrate Talk Like A Pirate Day (which is on September 18th). I always thought that was interesting because, yeah, pirates are awesome but… why did this one get so much popularity and traction? I have no idea, but I’m game because the more people I can get or see celebrating, the better. It makes my heart feel full. So anyway, I came up with some ways you might want to celebrate Talk Like A Pirate Day with any necessary resources. 1. Dress up! 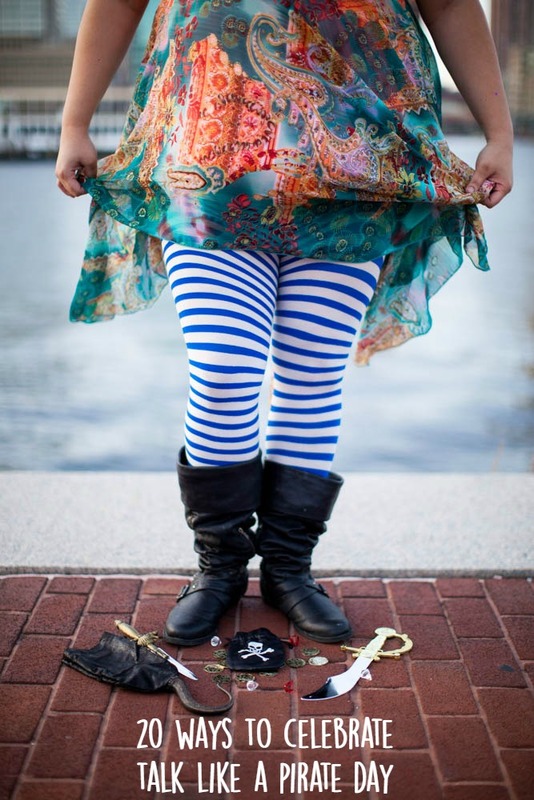 It’s really easy to dress like a pirate. You can always go full out, but there are plenty of accessories you can wear on their own that would indicate you’re celebrating pirates. The good news is this time of year the Halloween costume sections are starting to fill in, so it’s even easier to find some awesome stuff! 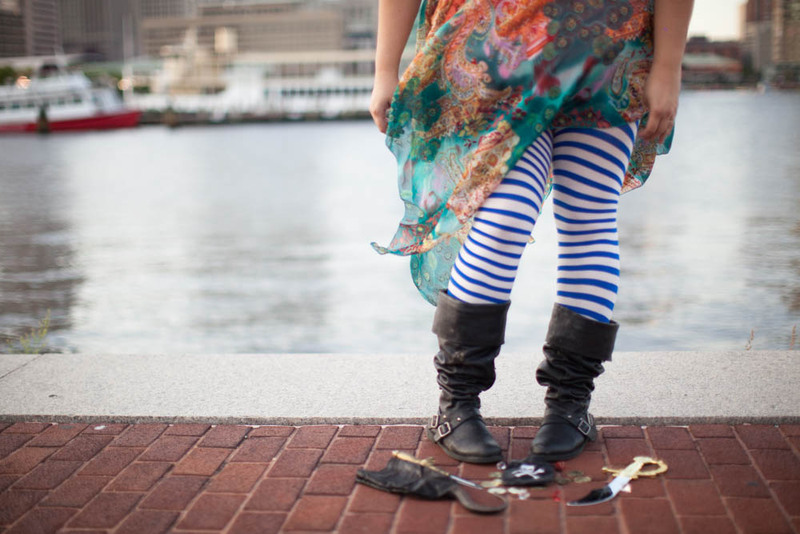 Ideas for what to wear/hold: hat, boots, eye patch, coin purse, treasure, sword/dagger, hook hand, striped pants or tights, a pirate to wear on your shoulder. 5. Fill a cheap chest with fun treasure and install it on the street. You can get a wooden or cardboard chest easily at the craft store, then you can paint and decorate it any way you choose. Fill it up with gold coins, costume jewelry, and whatever would make you happy to find. You can install it as a guerrilla installation on the street with a sign that says something like “Happy Talk Like A Pirate Day! Enjoy your treasure!” Or you could just gift it to a friend. 6. Host a scavenger hunt where the has an “X” to mark the spot. Treasure map is obviously required. 7. 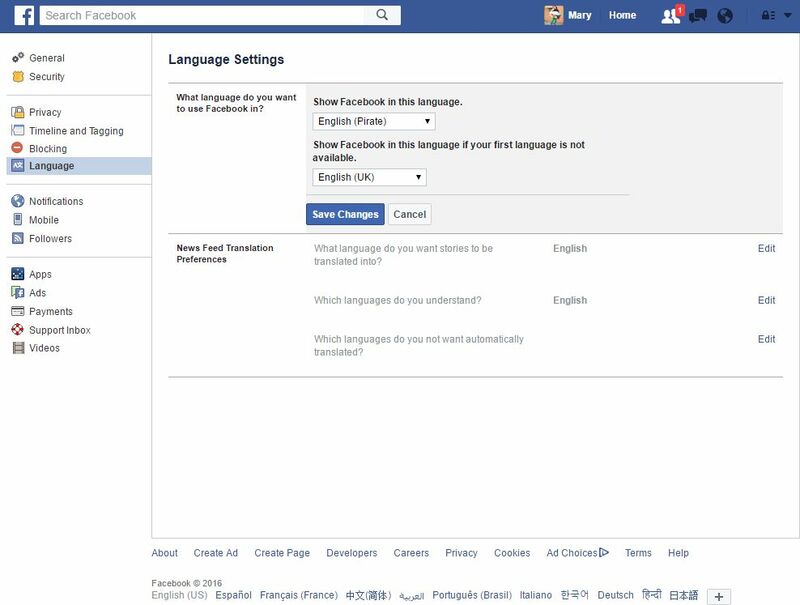 Change your Facebook language to Pirate English. Okay, this should have probably been number one on the list. It’s pretty important. Just go to settings and update your language to English (Pirate) and it will turn your social media experience into something much better. Your friends become “me hearties”, time is told in sunrises and “roundabouts”, and instead of “liking” something you get to “Arrr!” it. 8. Educate yourself on pirate code. Pirates lived by some specific rules and morals, check them out! 9. Tell a parrot a secret. Find a pet store that sells parrots and go talk to one! Tell it a secret and let him know to let other pirates in on the skinny. 10. Go on a ship. There are lots of historic ships you are allowed to tour. Check out what’s available to you locally, or go out on your friend’s boat and just hit the open sea! 12. Play pin the patch on the pirate. Print out a large picture of a pirate and cut out a patch out of black paper. Blindfold your friends, spin them around three times, and get them to try to correctly tape the patch on the pirate’s eye. 13. 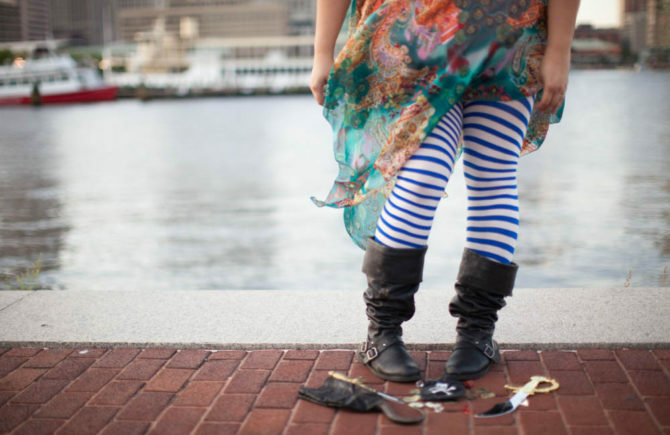 Find out your pirate name. There’s lots of sites for you to do this, but here’s the one I used. My pirate name is Cowardly Flora Dregg. 14. Put a boat and/or a message in a bottle (and send it out to sea). If you get a reply, let me know ASAP. 15. Learn 10 new pieces of pirate jargon. That’s probably the most obvious way to celebrate today, but extra points if you can incorporate them into your speech during the day. 16. Learn how to tie cool knots and basic boat knowledge. I know nothing about either of these things, but you guys, if we’re going to be pirates we definitely need to know how to tie a sailor’s knot and jimmy up the main sail or whatever. 20. Research famous pirates. Captain Hook, for sure. But there’s also some big pirate names you should know, matey. So let me know how today goes! And definitely tell me your pirate name below. 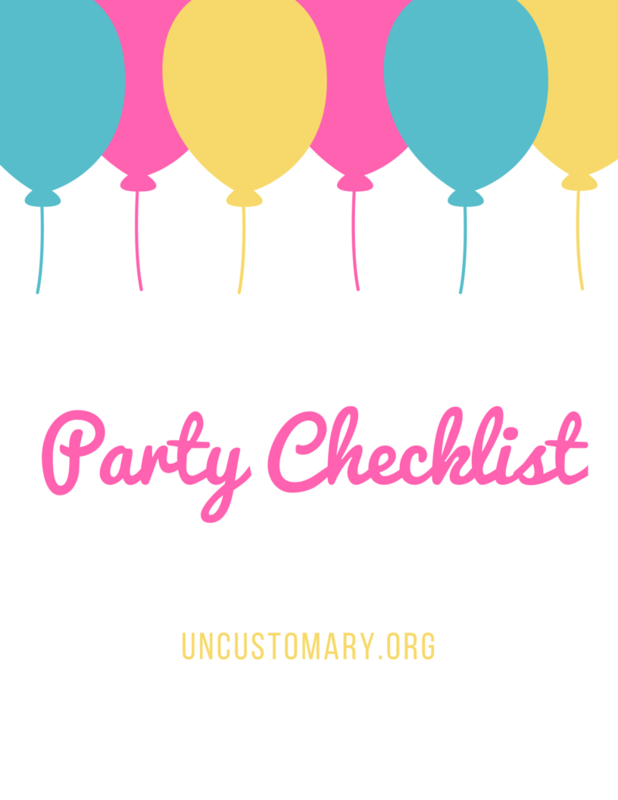 If you like to celebrate, download this free party checklist for your next occasion!